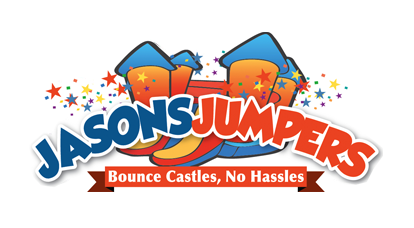 The Ninja Challenge is an exciting inflatable play structure for rental solutions as well as indoor family entertainment centers. With its right-aligned slide, right-sided tunnel and sleek design, this Ninja Challenge gives an action packed punch to any event, festival or party. Kids can choose from several different fun and engaging activities in this primary-colored red, blue and yellow inflatable play structure. 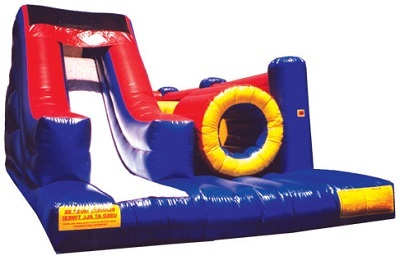 The Ninja Challenge is also available in a left-aligned version, and is part of a line of challenge inflatable play structures from Ninja Jump. This inflatable obstacle course can be an amazing centerpiece for an Indoor FEC or any backyard party. The inflatable play structure begins with a front-loading obstacle entrance, taking participants through tunnels and pop-ups to facilitate maneuvering skills and build confidence. The challenge obstacle then leads to an exciting front-exiting climb and slide, all to guarantee hours of enjoyable physical activity. Each inflatable play structure has mesh windows for easy viewing, and is constructed of the fire-resistant, lite n’ strong™ vinyl for easy portability, durability and safety. Please click here for pricing and availability or to book this unit online.